and get back to your real life. A year from now, you’ll be glad you started today. How can private lessons with the ESA Method help you? you feel like you watched all the free videos on YouTube for TOEFL iBT and you still don’t know why your score is low. you are tired of taking TOEFL iBT without knowing that you can consistently perform at the level that earns the advanced scores of Speaking 26+ and Writing 25+. you don’t want to rely on luck to get target scores. you can’t abandon your career (as a pharmacist, physical therapist or teacher). Why is this totally different from every other TOEFL iBT program? You get private lessons with and regular access to Jaime Miller, creator of The ESA Method, Advanced Speaking Guide, Right Notes, 24+ Writing Tutorial and trainer of teachers how to teach exams like TOEFL iBT. You pay one, fixed price and get help until you’re done with TOEFL iBT. You get The ESA Method “Learning Kit” shipped to your door. 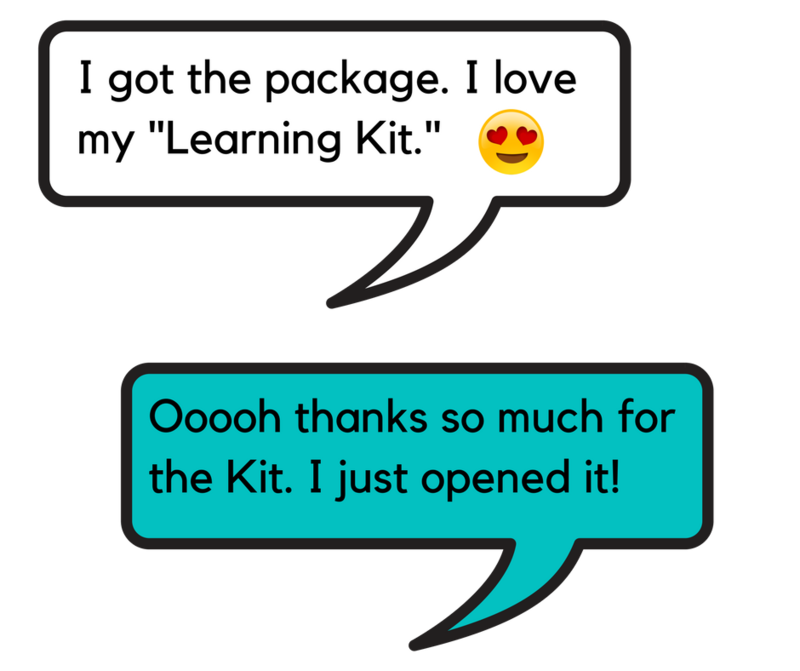 The “Learning Kit” was designed by Jaime Miller after 8 years of observing how adults typically need to study for the TOEFL iBT. It accelerates your progress and optimizes your study time and energy. Before Jaime Miller, actually, I studied with two other teachers, and I saw and felt the huge difference between her and others. One of them didn’t tell me if I made mistakes, and the second one was trying to spend a long time to charge me and let me take more lessons with her. Literally, 1 hour with Jaime is equal to 4 or 5 hours with other teachers regarding the amount of information. Because she knows what to do and where is the weakness, so she can diagnose the area of weakness accurately before she starts. She fixes the problems directly, and she doesn’t waste any time in her class. She just focuses on the students’ needs. Click to see Jaime's transcript. I remember being in 8th grade and Mrs. Madea gave us a pop quiz in art class: “How do you make the color brown?” Well, I knew, so I wrote down red and green. And when it came time to check our answers, she wouldn’t accept red and green. I was really confused. Out of all the 20 kids in class, I was the only one who seemed to have written down that answer. But I was right, and I knew I was right, and I offered to show her because we had paint in the classroom. I could mix it! And you can imagine that if that was me at 12, that a few years ago, I had a similar kind of situation. Except this time, it was about you. See, I had been working with pharmacists and physical therapists, helping them get this TOEFL iBT score that they needed (26), and some of my clients were successful and others weren’t. And the people that kept struggling all had this same one problem that I couldn’t figure out, like, how I “should” fix it. So, I sent emails to my old teacher trainers. I asked an industry expert who was on the conference circuit, being flown all around the world and I figured he would have his pulse (oops! I meant, his finger) on the pulse of the answer so that we could figure out how I should deal with this. And no one had any answers for me! Except, there was one piece of advice: I should work with easier students. (Laughter.) I was like, “Easier students?” I didn’t want to give up on my students. I wanted better answers. And I started experimenting, and doing things with my students and they started getting the scores that they needed — and I realized that I was figuring something out that like… Nobody else seemed to know about. So, I gave a presentation at an industry conference like a year later and the room was packed. Like, all of the seats were full and there was a line out the door of teachers who wanted to get in to figure out how to fix this thing that I seemed to have figured out (that nobody knew). And what I want you to know is that it is possible for you to be understood and to have the level of English that gets you the respect that you deserve — that gets you trusted at the workplace. And that not only can you be done with this exam (TOEFL iBT Speaking) that you think is trapping you — but that’s actually the way to that new level of respect that you haven’t had. What is the ESA Method? 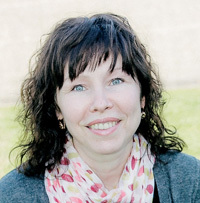 Jaime Miller is the owner of English Success Academy. Since 2010, Jaime’s full-time job has been tutoring students for TOEFL iBT Speaking. “The ESA Method” is Jaime Miller’s special way of preparing you to get advanced scores for the TOEFL iBT. By having such a systematic, detail-oriented approach, we ensure that your score at TOEFL iBT is a reliable, predictable level of your English — not a scoring aberration and not because you got lucky with that day’s topics. That made me feel that she was really present at that moment when we’re having the lessons. And after the lessons, she knows what she’s doing with every single student, which is amazing because our family members, friends and coworkers —they can’t understand what TOEFL is. Jaime Miller will present new information as fast as you can learn it. That said, your brain needs time to learn, memorize and integrate new information. Your brain’s own schedule is notoriously difficult to predict. It depends a lot on how many sections and how many points you need an increase in. In addition to that, there are many factors that influence the rate of your progress, which are beyond any teacher’s ability to control. Your memory, energy, motivation, and belief in yourself all impact how quickly you make progress. To increase a total of 8-20 points in 3 or 4 section areas, it typically takes between 8-12 months. In order to get more advanced scores in Speaking and Writing, many students need to dedicate a significant amount of energy to learning new vocabulary. To increase 5-10 points, total in both sections, it typically takes between 3-7 months. To increase 2-3 points (for example, from 23-24 to 26+), it typically takes between 1-4 months. At the same time, there are some people who spend over a year bridging this gap. Note: Some people cannot get an advanced Speaking score because their Listening score is weak (below 23). In order to expect results this quickly, you must already have stable results in Reading (23+), Listening (23+), Writing (24+). It is possible that you could see results faster, but it is also possible that it could take longer. The guidelines are written above to give you a general estimate of how long it typically takes students with The ESA Method. However, that is a not a guarantee. Sometimes it takes longer to see results. People who have levels of anxiety and/or depression may see slower results. Getting 26 on TOEFL Speaking was the most difficult task I’ve ever done in my life. After getting my FPGEE, in total, I took TOEFL over 20 times. Then I began studying with Jaime and discovered something about myself – that I cannot give up without getting my 26. What is the sequence of The ESA Method? Applying to study with Jaime Miller typically takes about 3 weeks (after you submit the initial application, you would have various conversations with Jaime to discuss your unique situation with TOEFL iBT). Not everyone who applies is accepted. Pay in full or start monthly installments. Depending on how much help you need, Jaime Miller will quote you a flat rate. She doesn’t charge by the hour. You do a Technology Orientation to make sure that your computer is set up to make it faster and easier to learn online. You take a realistic practice test for TOEFL iBT. Jaime Miller analyzes your results and creates an action plan. If any of your friends ever told you about the “Score Analysis”, this is the step that they were talking about. The ESA Method “Learning Kit” is shipped to your home. The Learning Kit includes Jaime Miller’s favorite tried-and-true methods for helping students physically tame the chaos of studying for TOEFL iBT and stay focused on what matters. You meet with Jaime Miller in Zoom video conferencing for live, private lessons (not group classes). You can send any additional questions that you have via email. There is no limit about how many questions you can ask. You don’t have to wait until the next lesson. If you can get to Sacramento, California, you also have the option to meet with Jaime in person for one intensive VIP day. You would complete Speaking responses for TOEFL iBT under Jaime Miller’s supervision, and you’d get her feedback and advice. If you need help with your Reading, Listening and Writing scores, help is also included, When students study with The ESA Method to score Speaking 26 on TOEFL iBT, they may complete over 200 Speaking responses for all 6 types of tasks with Jaime Miller’s supervision, feedback and advice. Your English for TOEFL iBT: Let’s imagine you mispronounced “many” and it sounded like “mini”. Jaime is always listening to you, so she would write down your error and as soon as it’s a good time, she would talk to you about it so that you can fix the mistake. Your English for real life: Let’s imagine Jaime sent you a text message and asked you, “How is it going today?” and you replied, “Is going.” then she would identify that issue and the solutions to fix it later. Register for TOEFL iBT — when you're ready. 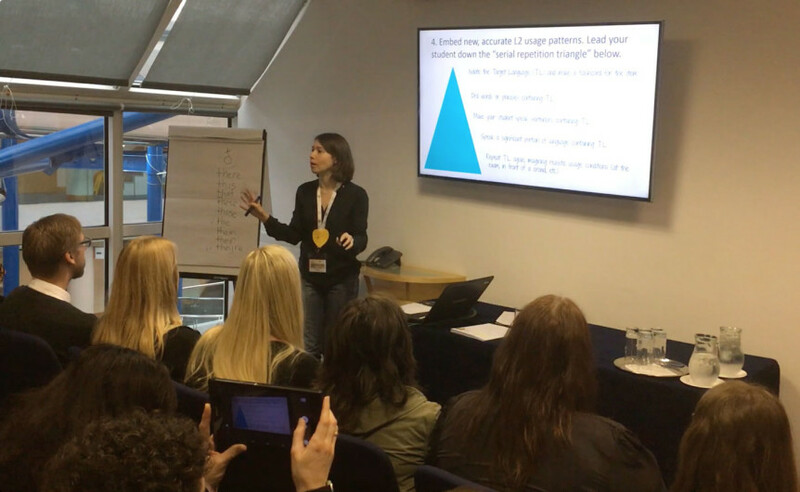 As soon as your performance with Topic Development, Language Use (grammar, vocabulary), and Delivery (including fluency and accent) crystallizes and solidifies in a predictable way, Jaime Miller will let you know. At that point, you will begin preparing for your final TOEFL iBT test and register for it. If you don’t get your score, Jaime Miller keeps polishing and refining your performance until you do get your TOEFL iBT Speaking score of 26+. My final score was speaking score 26 sharp! Exactly what I needed as a Physical Therapist applying for a green card in the US. The funny part of the story is that I didn’t have a good day at the exam. It took me 3 years of being a full-time TOEFL iBT tutor — from 2010 to 2013 — to figure out the secret characteristics of what English actually sounds like when the TOEFL speaking score changes from 24 to 26. That information is not published in any books. The only teachers who know it are the teachers who worked with students for years to discover it for themselves. On top of that, I have worked with hundreds of students and done lots of extra training for pronunciation, accent reduction and more. I know how to talk about these normally-boring topics and keep you awake and focused! In 2013 and 2014, I finally felt confident about all “the English / accent / grammar / vocabulary stuff” that my students needed to know. But then I had another problem! My students needed to actually fix their mistakes. It is never enough for me (or some other tutor) to just give presentations and talk about TOEFL iBT and tell you huge amounts of information. You have to learn my information so well that you can use it accurately and easily when you are at the TOEFL exam. Oh! Huh. Well, I realized, that is different… That’s not just strategies or regular English stuff… Now I needed to understand how to change memory and habits. I looked in my notes for all my teacher training certification programs. I was shocked to discover that we never talked about how to fix old mistakes. In fact, during my research, I discovered that my industry has a special name for a concept called “a fossilized error” which is the belief that some mistakes are repeated so many times that you can’t change them. Some teachers and parts of my industry believe that old mistakes crystallize like a fossil in your memory. Now, I don’t know about you, but I am not the kind of person who you tell “you can’t.” No? I can’t? Can’t I? Can’t we? Are you sure about that? Basically, I refused to believe in the myth of the so-called fossilized error. And because of that, I started experimenting with my students. I discovered a lot and I was seeing results with students. Students who had “fossilized mistakes” were actually making progress. With my new homework protocols, their pronunciation in spontaneous conversations was actually changing. Their grammar was improving in real conversations. They were using the right vocabulary after years of mistakes. In 2015, I began training teachers and I gave a presentation on how to fix fossilized mistakes at a conference for my industry. Every chair in the room where I presented was totally full. We had to turn away about 30 teachers at the door because they didn’t get there early enough and they couldn’t all fit inside. Obviously, this information about how to fix fossilized mistakes is something that you hope or you think every teacher would know — but in my industry, I don’t know anyone but me who talks about how to fix fossilized mistakes. It has taken me a long time to be amazing in my industry — teaching, coaching, online education, English, accent reduction, knowing how to fix old mistakes… oh yeah! And TOEFL iBT. strategies. Now that I have 7 years of experience, I know what to do with you. You may think your situation is horrible and unfixable… But if we work together in S26, I will have lots of ideas about how to get the TOEFL iBT scores you need. It will take time. You will also have to trust me. For some pharmacists, it’s terrifying to trust someone. Other pharmacists are so relieved to give someone else the permission to lead. What about you? How would it feel to let go and trust someone who knows how to navigate you through the whole confusing mess for TOEFL iBT? To be seriously considered for the program, please pay careful attention to the following criteria. If you do not meet the criteria, there is a high chance that you will not be contacted. You have no results or scores at all from previous TOEFL iBT tests or practice tests. Jaime Miller will ask you to take an official practice test. If you do not submit any results from a practice test of some kind, your application will be ignored. You are not willing to try new approaches to solve old problems. Your deadline (for an application or meeting licensing requirements) is less than 8 months from now. You are a physical therapist, pharmacist or other professional and your target income is over $80,000 per year. You have minimum scores of R23 L23 S22 W21. It is ok you reached those on different test dates. You have at least 10 hours a week to follow the program, follow The ESA Method and do the activities so that you can get Jaime Miller’s feedback. Your final deadline must be at least 8 months from the date you enroll and begin. You will agree to commit and follow through. Jaime Miller will not stop working with you until you reach your target scores. You have 30 days to try the ESA Method and Jaime Miller’s private lessons. If you cancel during that time, you receive a prorated refund, minus your Score Analysis ($200), Learning Kit ($100 + shipping) and Jaime’s time, charged at $200 per hour. In some countries, it is standard to negotiate the price (no matter if you’re buying shoes or an expert’s energy and knowledge). In the US, we don’t negotiate like that. Below, you can see the real prices. These prices are not artificially inflated so that you can negotiate them down to the “real price.” The prices below are non-negotiable and are already the real price, the lowest price. You get the lowest price for paying in a single payment. It is also possible for you to pay in monthly installments, and this raises the total cost to a higher number. The ESA Method "Learning Kit"
which includes protocols and"study sequences"
on at least one official TOEFL iBT test. as fast as 1.5 to 4 months. and 1-4 points in Writing. your TOEFL iBT Speaking score.